To clamp down coal prices and coordinate with China Railway to cap the increase in transportation charge. 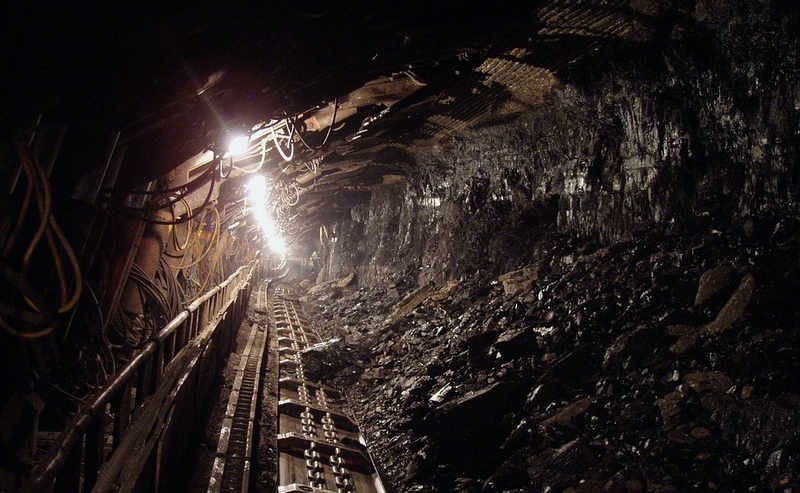 In the report, the 4 companies stated that since 2017 multiple factors such as over-demand, replacement of obsolete capacity and insufficient rail freight capacity had resulted in high coal prices. A few thermal plants are encountering liquidity crunch owing to suspension or restriction of bank loans. Plant coal stockpile has dropped below 100mn tonnes and expected to further fall to 90mn tonnes by Chinese New Year. The whole thermal power segment is loss-making. China faced freezing temperatures recently, resulting in a surge in demand for heat and power. In Dec-17, the amount of thermal power production reached 441.7k GWh (+4% YoY). 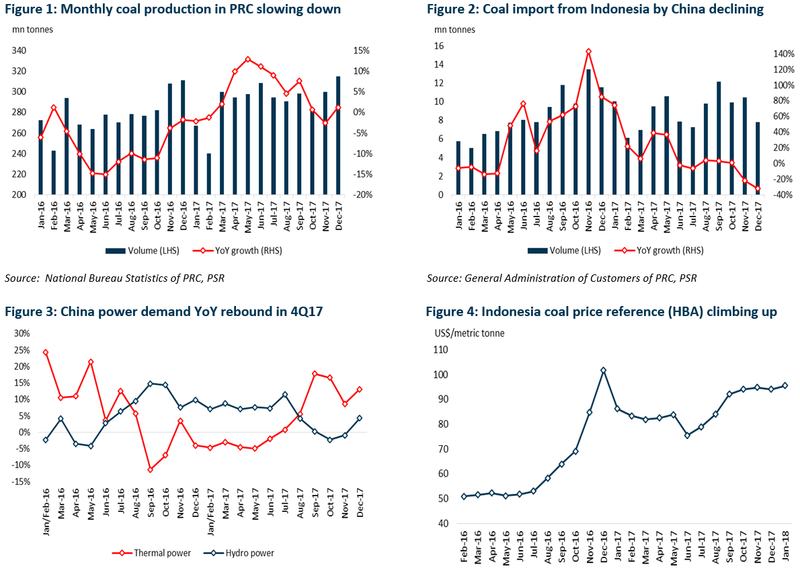 However, coal supply failed to meet the higher seasonal demand since domestic production remained flattish and coal import volume fell sharply, shown in Figure 1 and 2. Meanwhile, port coal stockpile was further exhausted in Dec-17 and Jan-18. As a result, the uptrend of coal price continued without evident corrections, see Figure 4 and 5. We expect the authority will increase the import volume and cautiously boost the domestic production in the near term. After all, to guarantee heat and power supply especially during the upcoming lunar new year is the priority. Moving forward, we believe the government will speed up the consolidation between power plants and coal producers this year since coal miners thrived but power generators suffered last year. 4Q17 production arrived at 5.5mn tonnes (+212% YoY, +34% QoQ). The growth of overhead costs faster than expected due to higher freight and marketing expenses. The 15.6mn tonnes of coal sales in FY17 exceeded the target of 14mn tonnes, and the sales target in FY18 will be more than 18mn tonnes. Management revised down FY17 sales target from 10mn tonnes to 7 to 8mn tonnes. 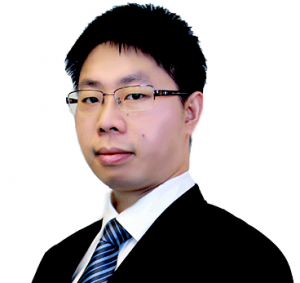 The newly-issued US$300mn senior note will enhance solvency and liquidity. It secured an offtake agreement with ECTP for 7.5mn tonnes coal supply in FY18. In the recent 2 months, the prices of the two counters bottomed out. We believe it was due to the expectation that China will increase coal import in the near term as major power and heating plants are running out of coal inventories. It’s urging the authorities to allow more imports before the festive season when domestic production of coal slows dramatically. The short-lived seasonal impact could bring a good start for the two companies in 2018. Based on the outlook for a healthy demand and stable price, as well as the ramp-up of production of 40% in FY18, we maintain our BUY rating on coal sector. *The total port coal inventory includes coal stockpile at Qinghuangdao Port, Tianjin Port, Caofeidian Port, Guangzhou Port, Jingzhou Port, Lianyungang Port, Dandong Port, Jingtang Port, Yinkou Port, Qingdao Port, and Huanghuagang Port.